We’ve been supplying a range of paints to suit all budgets – along with wallpaper and various decorating equipment – for more years than we can remember. And that’s quite some time, because our senior staff have been here for a total of almost 40 years. So there’s a wealth of decorating knowledge on tap when you visit. Just like the other Brewers stores around the UK, we can order in any of around 4,000 wallpapers for next-day delivery and you can Click + Collect designer paints and wallpapers for free from the Wallpaper Direct, Designer Paint and Brewers Home websites. 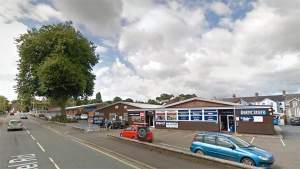 The Newton Abbot Brewers Decorator Centre is directly next door to Tool Base on Brunel Road, just off Torquay Road close to the Besigheim Way roundabout. There’s masses of parking, with easy disabled access to the shop. If you’re new to the area or you’re a retail customer asking tradespeople for recommendations, you’ll hear us referred to as The Paint Store. Keep going down Brunel Road pass Forde Close on your left, the store will be on your left just before the roundabout.